Before I fly a drone, I always make sure I am aware of all the FAA restrictions or requirements, in effect, at the location. 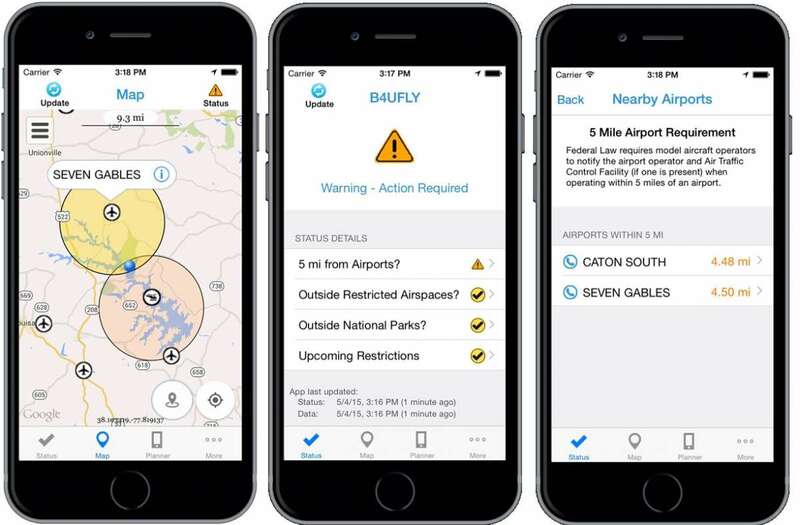 Historically, this used to be more of a manual process, but thanks to a new smartphone app, B4UFLY, you can quickly check whenever and wherever you’d like to fly. This limited beta test is expected to run for several months, after which the FAA plans to make B4UFLY available for the general public. The initial release is planned for iOS devices only, with an Android version to follow. Links to other FAA UAS resources and regulatory information. While I think this is a great tool for drone pilots, I’m not sure the FAA should have spent $430,000 on it.